Look great while showing your school pride with this beautiful handmade scarf. Go Aggies. Handwash, reshape and dry flat. 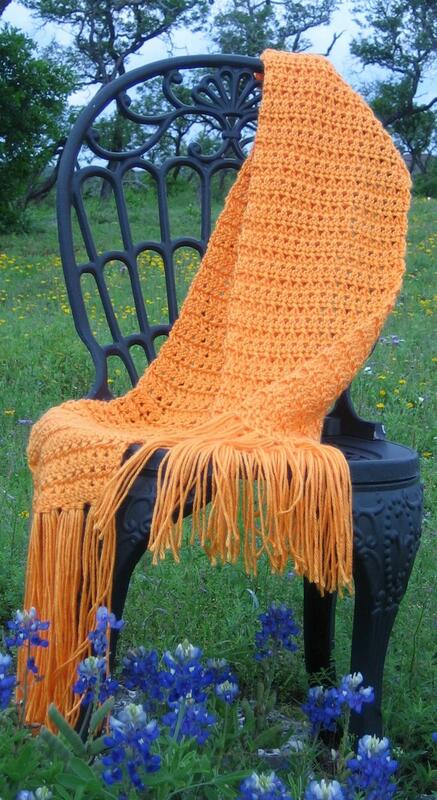 Show your school spirit in style in this beautiful handmade scarf. Go Longhorns! Bring a little sweetness to whatever you are wearing with Oreo. This beautiful scarf will make the perfect accent to everyday casual to a night on the town. Hand wash or machine wash delicate cycle, reshape and dry flat.